They call this a demo, but Powers of Evil is actually is a fully realized album from Sweden’s Pilotos. The band plays a decent brand of stoner rock, de-emphasizing the sludgy aspects of the sound in favor of a bit more of a psychedelic approach, and it works quite well. They kind of shoot themselves in the foot though, with often-silly lyrics (for example, “hey baby, you’re so fine, I wanna be with you all the time”), usually involving a woman who is desired but can’t be had, or a woman who is already with the narrator of the song, but is driving him crazy in one way or another. It all seems summed up in the title track, Part of the Evil. Women are evil, but evil certainly is alluring. Can’t live with them, can’t live without them. Not a new notion, but at least the singer says the woman is “part” of the evil, suggesting perhaps that he is equally to blame (or at least someone else is!). Sure, this kind of macho posturing has always been part of the stoner rock aesthetic, but other bands have done it more cleverly. Nonetheless, aside from the rather juvenile lyrics, Pilotos still offer up some seriously grooving riffs that almost make up for the words. Atrapar is one of the best tracks (perhaps because it’s an instrumental! ), a short but cool little number with some nice acoustic bits to balance out the fuzz-drenched heavier parts. The album closer, Rescatar is also excellent, being a tasty, bluesy bit of lo-fi psychedelia with lots of trippy wah wah guitar and a bit of a desert rock feel to it that reminded me of Kyuss. 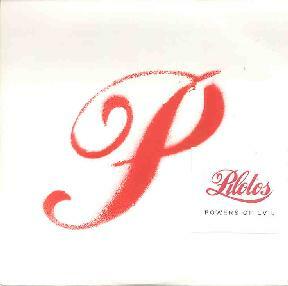 For more information you can visit the Pilotos web site at: http://www.riffrock.com/pilotos. Contact via snail mail c/o Jesper Svanholm; Hornsgatan 62; 118 21 Stockholm; Sweden.